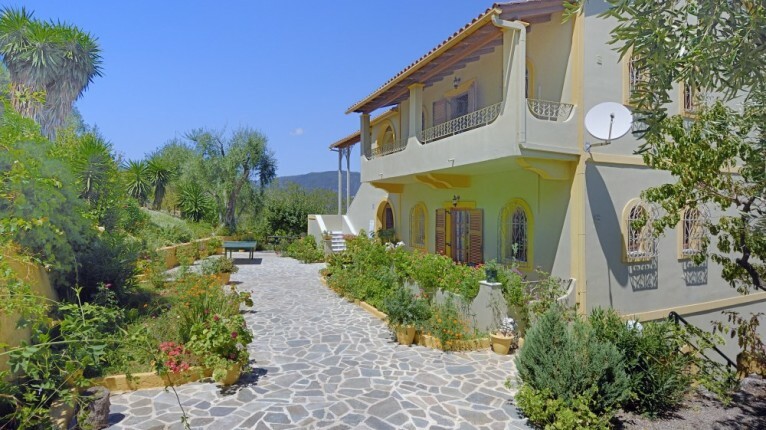 Nestled on the hillside behind the popular resort of Dassia lies the house of Giorgos with wonderful views over the resort and the bays of Gouvia and Dassia. The house is built over three floors, on the lower floor are the three studios and the middle and top floor each have two apartments. The parking level is at the middle floor, steps lead to the upstairs apartments and down to the studios and pool level. 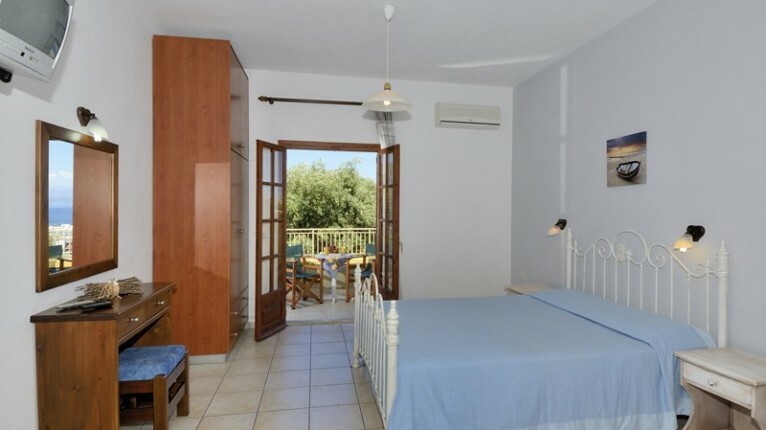 The three studios are light and spacious and have either a double bed or two single beds, a sofa can be converted into a single bed to accommodate a third person. The kitchenette has a small oven with cooking rings and the bathroom has a shower and toilet. Patio doors lead onto the verandah with views of the sea and the pool. The apartments have one bedroom with either a double bed or two single beds and a sitting room with two sofas which can be converted to single beds for a third or fourth person. There is an open plan kitchen and dining area with a table and chairs and a small oven with rings for cooking. Here there is another sofa which can also be converted into a single bed for a fifth person. Patio doors open onto the long balcony from both the bedroom and the sitting room and as the apartments are on the higher floors they have incredible views. 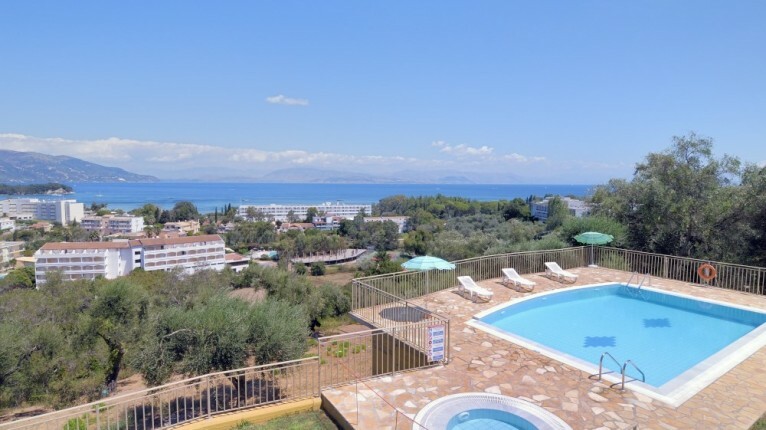 Within the garden area there is a good size swimming pool which also has great sea views, sun loungers and parasols are provided. 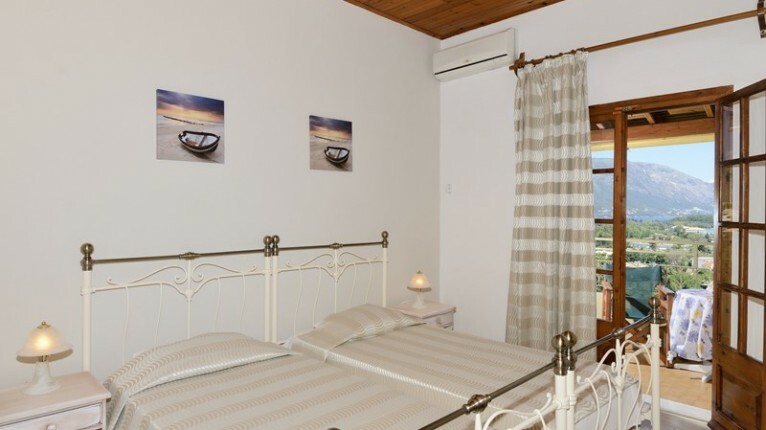 Each studio has air conditioning and in the apartments there is a unit in both the bedroom and the sitting room and charges for this are made locally. 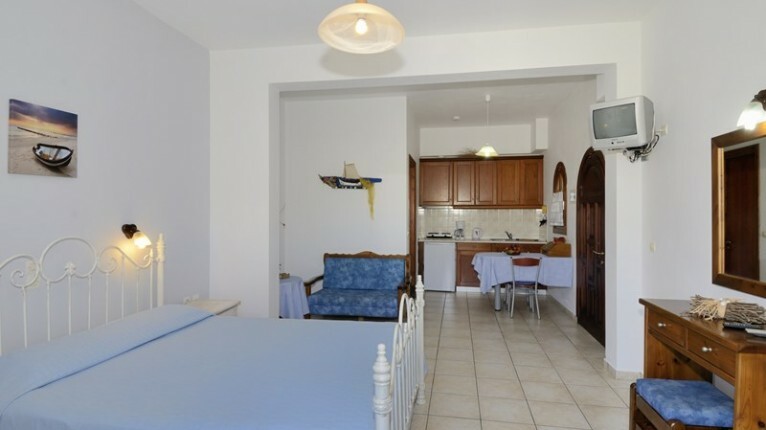 Free wifi is available and all studios and apartments have satellite TV. Cleaning and changing of sheets and towels occurs twice a week but an extra set of towels is placed each week which can be used as and when needed.